In his book The Deepening Divide: Inequality in the Information Society, Van Dijk (The deepening divide. Inequality in the information society. Sage, Thousand Oaks, 2005) discusses the digital divide and how it has changed throughout the years. It started with a deficit in accessing technology in the 1990s and early 2000, but has now evolved into a gap between the skills demand and supply. A closer look shows that the divide is actually not a simple divide, but a rather complex digital issue comprising several gaps. The need for IT professionals is outstanding and more and more seen as a huge disadvantage for SMEs. While the need of IT skills on the individual and employee level is quite well examined, only few studies can be found for the organisational level. The organisational level is different and comprises the core competencies of an enterprise or organisation. In the case of IT, the relevant literature speaks of IT capabilities. The literature in this area so far has not been gathered or analysed as a whole regarding IT capabilities of SMEs. As the IT represents the backbone of modern organisations, the goal of this contribution will be a systematic analysis of the relevant literature in order to identify existing IT capability frameworks and relevant topics. The findings will be integrated in a holistic model and specific action fields for SMEs derived. Vieru, D., Bourdeau, S., Bernier, A., & Yapo, S. (2015). 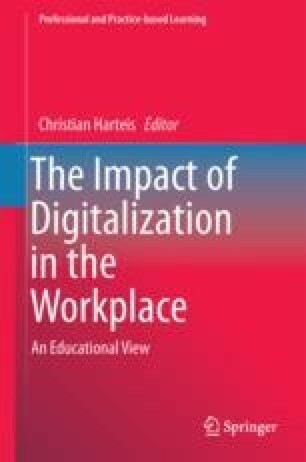 Digital competence: A multi-dimensional conceptualization and a typology in an SME context. In IEEE (Ed.) 2015 48th Hawaii International Conference System Sciences (HICSS) (pp. 4681–4690). doi:10.1109/HICSS.2015.557.